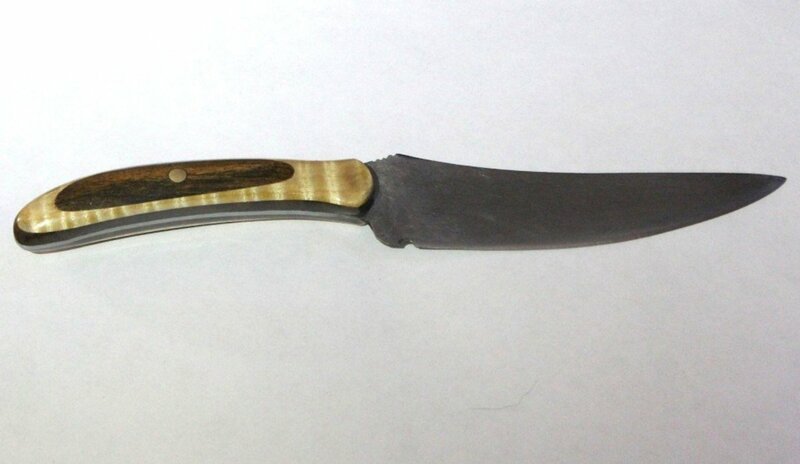 Finished knife made from an old table saw blade. 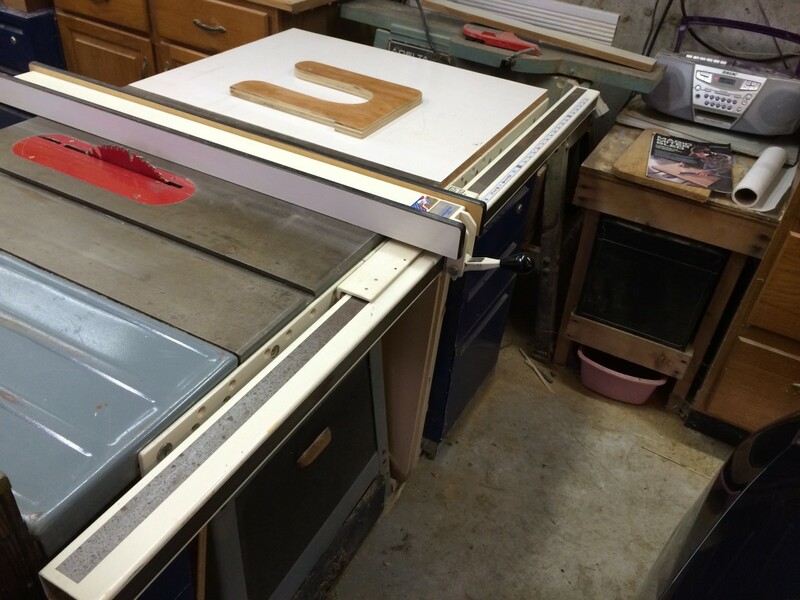 I had a few old ten-inch table saw blades just lying around slowly rusting. 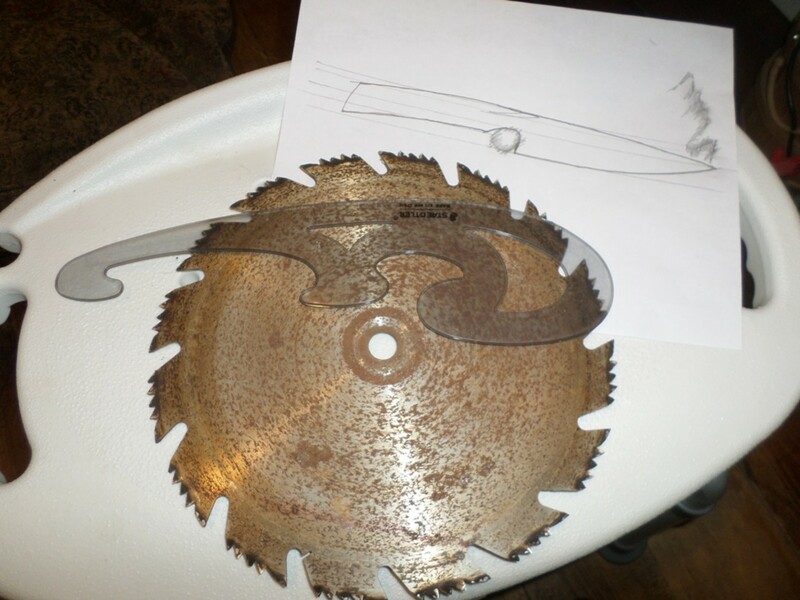 I saw examples online of projects using old saw blades to make knives. I thought I’d give it a try. Note: I found that a useable knife can be made, but not a perfect knife. It doesn’t take long, and it's fun, but the saw blades are a little thin for making a strong and durable knife. Also, most saw blades are made from a steel alloy, (typically steel-chrome-molybdenum) which can make working with them quite difficult. Saw blade with the template and design tools I used. First I looked at images of knives to get an idea of the style I wanted to make. I decided on a French-curved blade, then used my imagination to come up with the shape I wanted. I drew the knife shape on thin cardboard (you can also use paper), then I traced it onto the saw blade with a permanent marker. 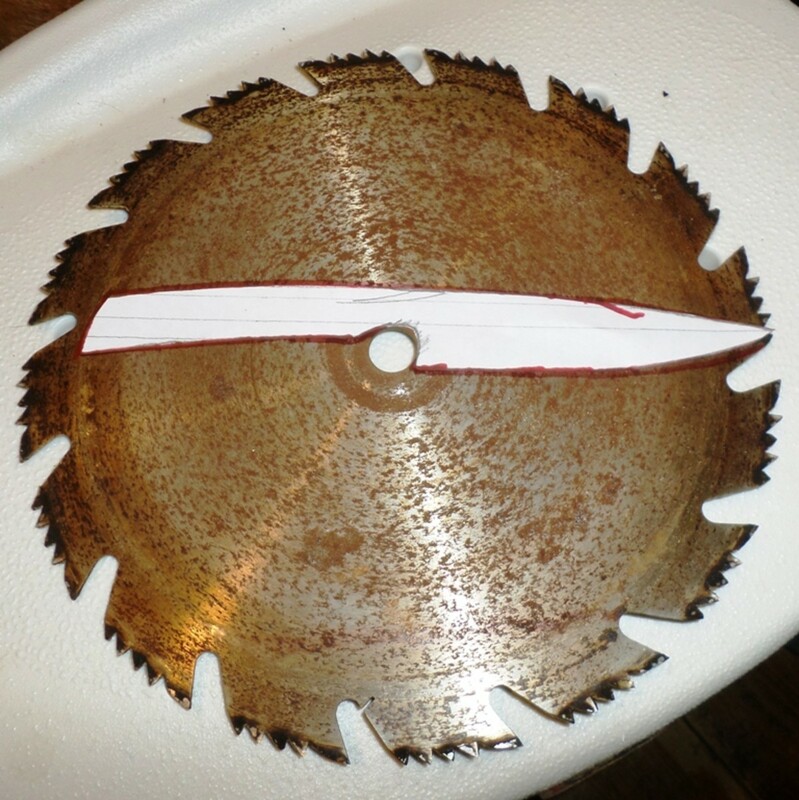 Old saw blade with the knife cut out. 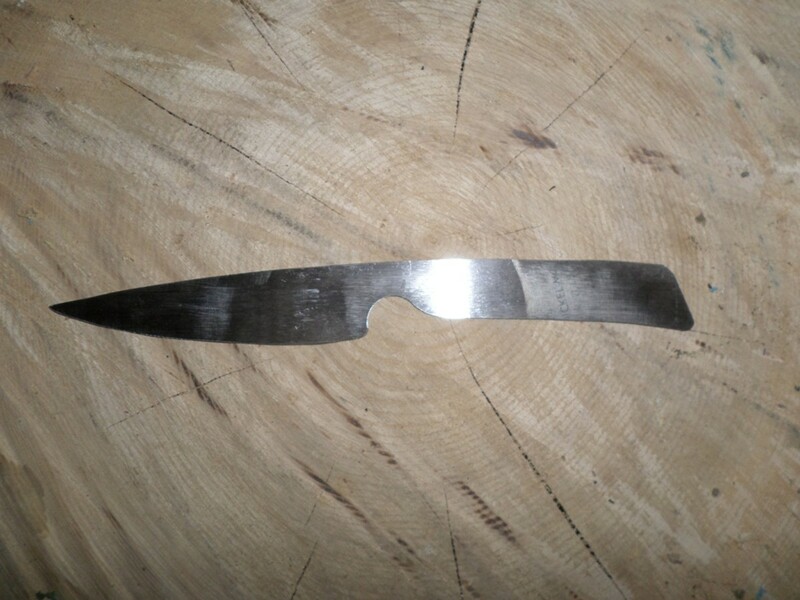 Rough cut of the knife. Since saw blades are very hard, a desirable characteristic for a knife blade, they are hard to cut. I found that I needed to rough cut the knife shape with a metal cutting disk. I used a Dremel Ultra-Saw, but I wore out two disks while cutting the shape. 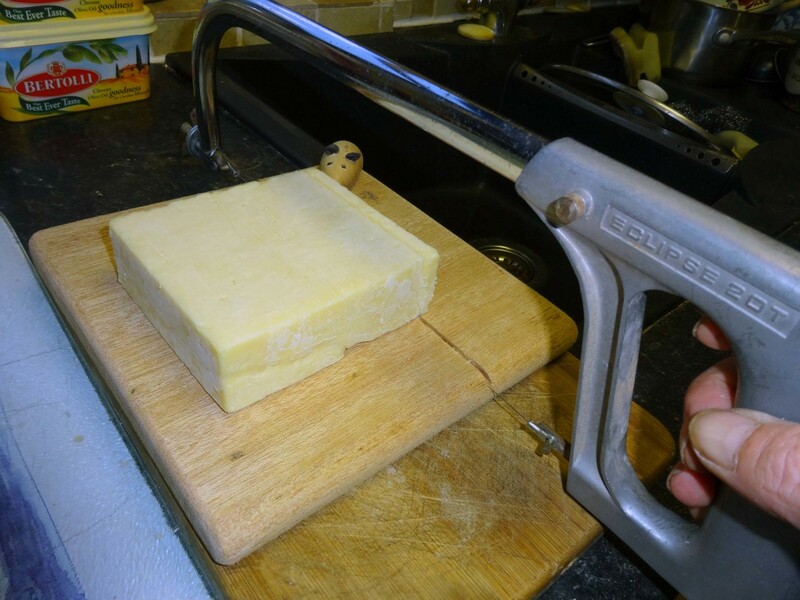 On subsequent attempts, I found that if I annealed the blade first, then I could cut the blade, albeit slowly, with a jigsaw fitted with a metal cutting blade. Once I had the rough-cut blade, I used a grinder to shape it and get it as close to the final desired shape as possible. I then used a hand file to touch it up. 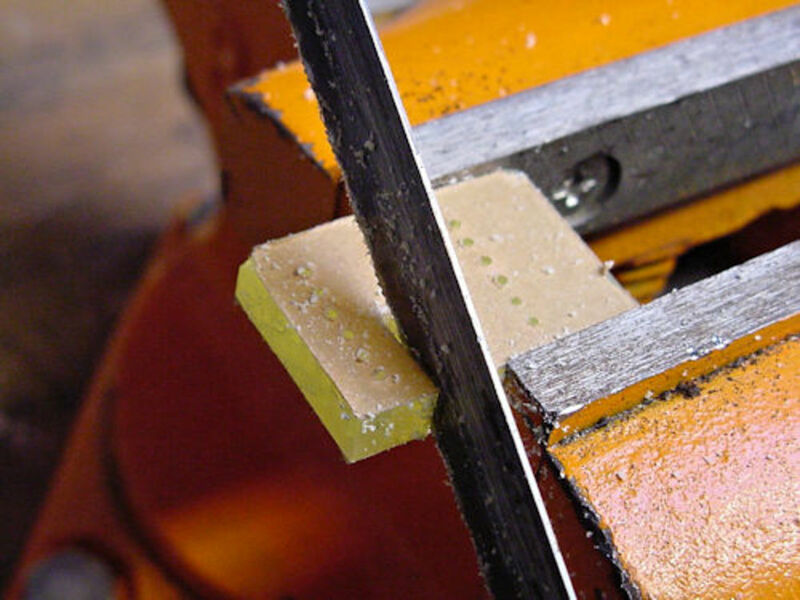 Here again, the hardness of the saw blade can cause problems. I found that even after I attempted to anneal the metal, it was still too hard to drill through. I did have one saw blade that was steel without any alloy. I found I could drill through it easily, after annealing. Note: I read that the metal can be heated to red hot at the spot where a hole is needed and then immediately drilled. I did not try this due to safety concerns and handling difficulty. Warped blade that snapped when I tried to bend it back into shape. 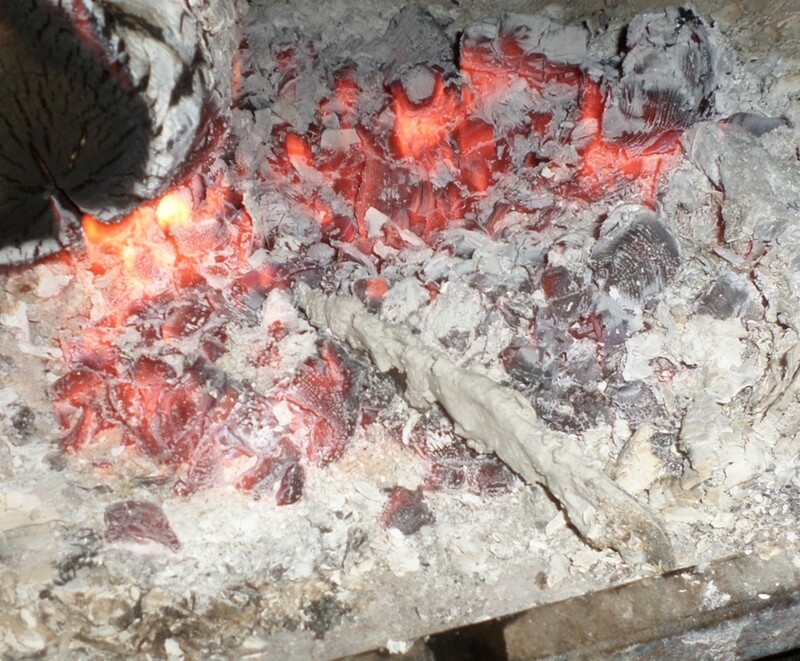 Hot coals ready to start the annealing process. 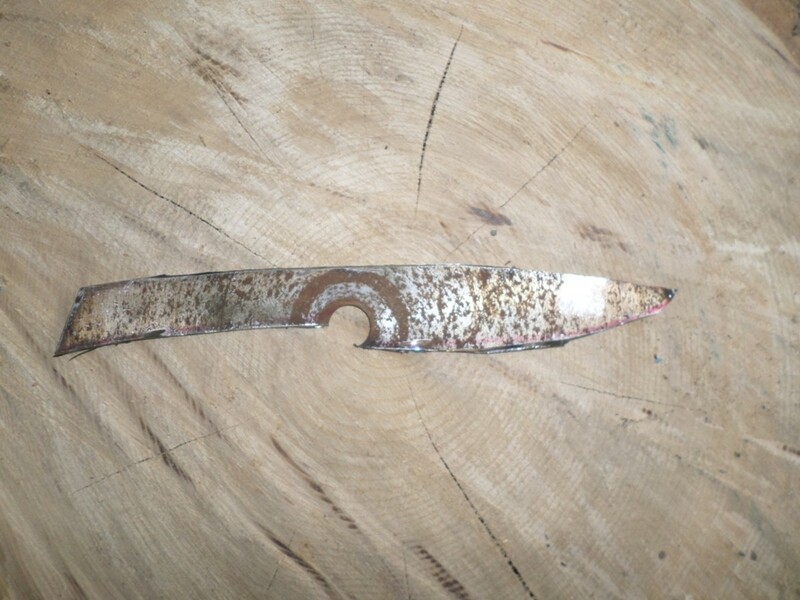 The knife in the process of annealing. Annealing is a process of making relatively soft steel hard so that it will hold a sharp edge. The process requires heating the steel to a bright cherry red then quenching it in liquid to cool rapidly, but not too rapidly. Alloy saw blades are probably already hard enough to use without heat treating, but they are hard to work with. I tried to heat treat the blades anyway, even though I was just guessing at its effectiveness. There are two problems you can run into with this process. If the blade is an alloy, annealing is more difficult. Annealing can sometimes cause the metal to warp. 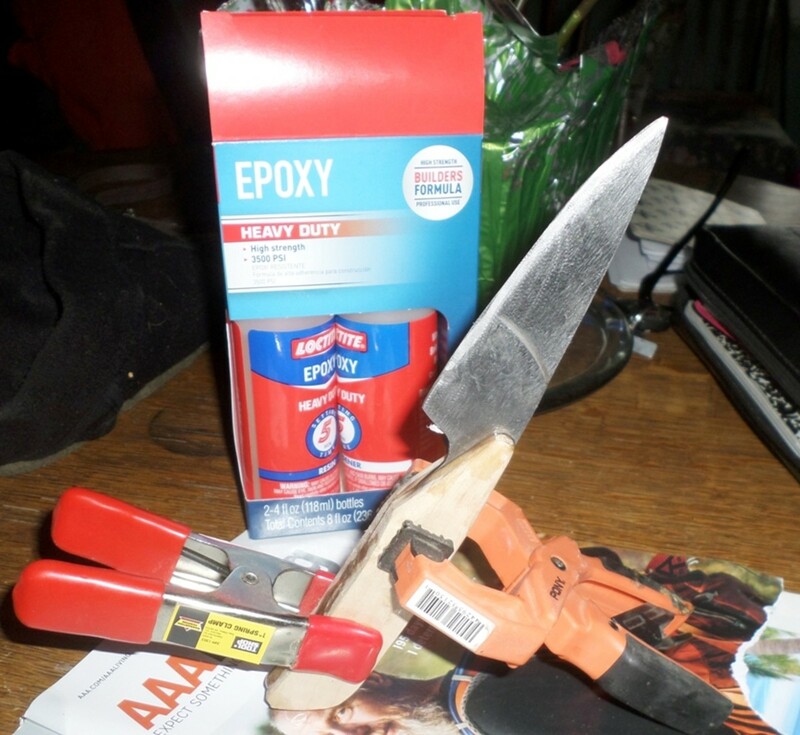 On my first attempt, I used water in a coffee can to quench the blade. When I removed it from the water, it was slightly warped. When I tried to bend it back into shape, it snapped because the annealing process had made it very brittle. I used corn oil on my next attempts. I used my wood furnace as the heat source and placed the metal in the blue flame close to the damper door. Assuming that the annealing had removed some of the hardness I wanted only the edge of the blade to be re-hardened. A mixture of ash and plaster was used to insulate all but the edge while the steel was being heated. 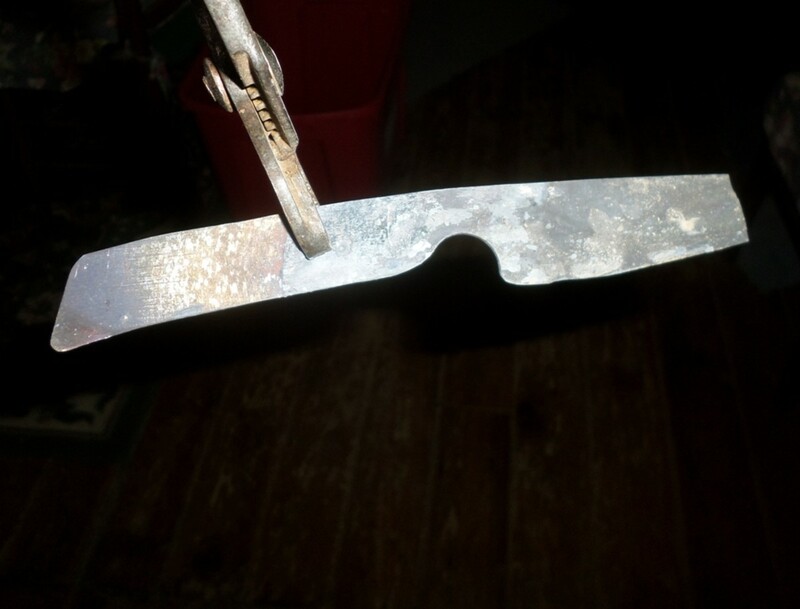 After the hardening, the knife blade should be tempered. This is the process of relieving the brittle structure in the steel caused during hardening, making the steel strong but not brittle. 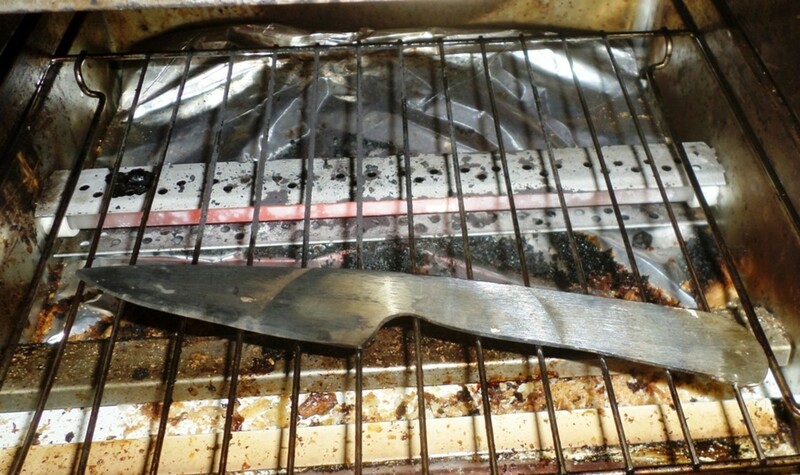 I heated the hardened blades in a toaster oven for an hour at 450 degrees Fahrenheit. I think it worked. 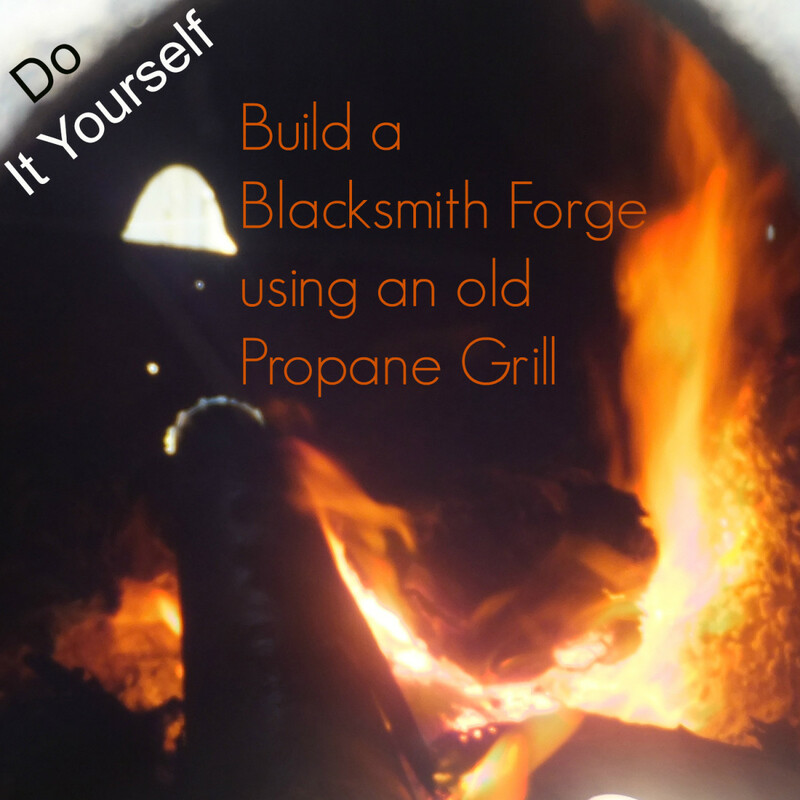 I found this process worked best with the knife that was made from the non-alloyed saw blade. Heat treating can be tricky, and almost impossible, with steel that is unknown. The steel was black after heat treating. I tried to polish it by using a belt sander and diminishing grits of sandpaper on a random orbital sander. 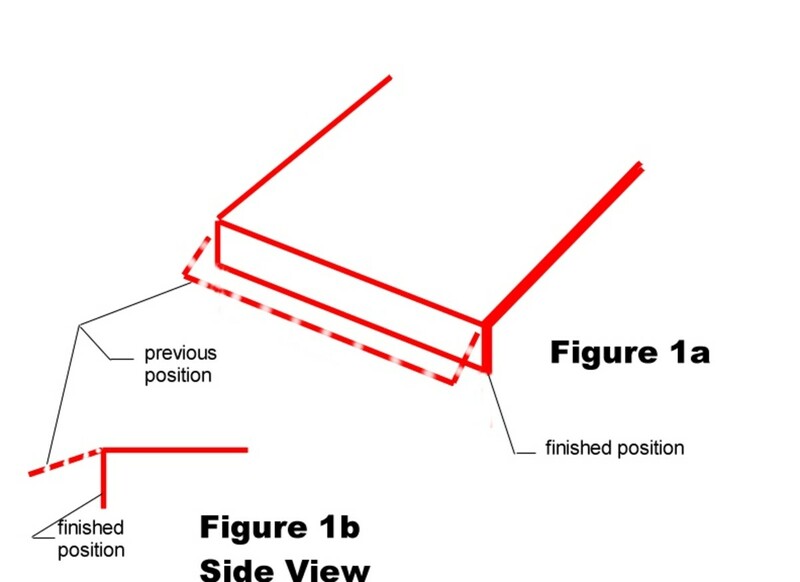 For the knife's edge, there is typically a wide bevel and the sharp angled cutting edge. Making the bevel is difficult without a specialized belt sander and a jig to hold the knife precisely. I make a slight bevel and cutting edge using a grinder, belt sander, and file. It works but is not the best looking. I left the cutting edge dull until I was ready to do final sharpening. Handle held tight on the blade with a vice until the epoxy set. 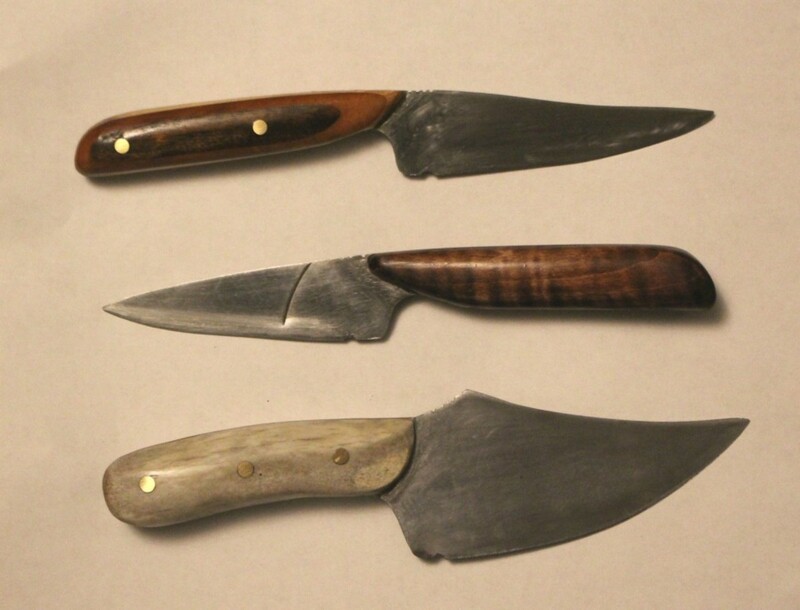 I have used solid wood, contrasting laminated wood, and a deer antler for handles of my custom knives. I roughly shape the handles before attaching them to the blade, leaving some overlap for final shaping on the grinder. To attach the handles, I used a 3/16 brass pin and Loctite heavy duty epoxy. This stuff is pretty strong and sets quickly. The holes in the steel were the same size as the pin, which had one edge slightly tapered at the tip to start in the holes. On one knife I could not drill pin holes, so I just used epoxy. I marked and drilled the holes in the handles, then coated the backsides with epoxy, then pressed the pins, handles, and blade together in a vise. Once the epoxy set, I finish shaping the knife using the grinder, belt sander, and file. They were then sanded and sealed with several coats of Tru-Oil. Use clamps to form the sheath over the blade. 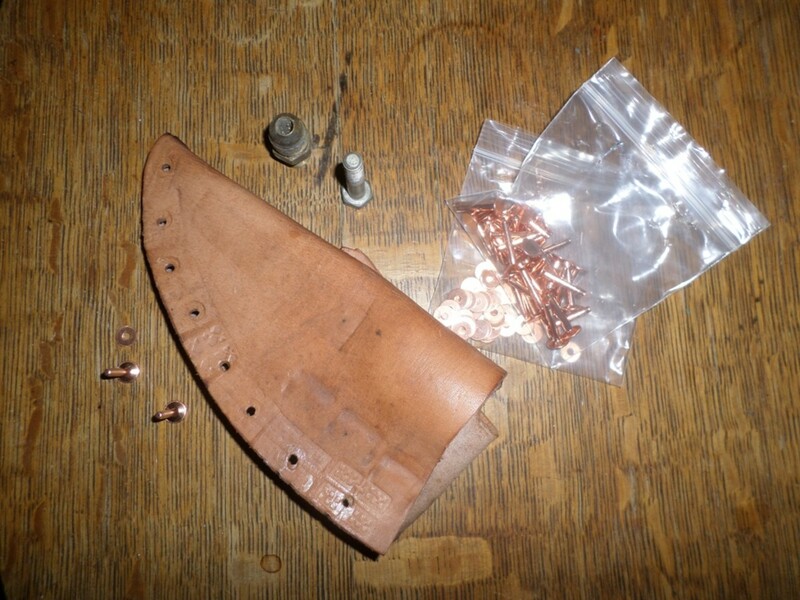 Punch holes along the open edge to insert copper rivets. Finished sheath with the custom knife inside. 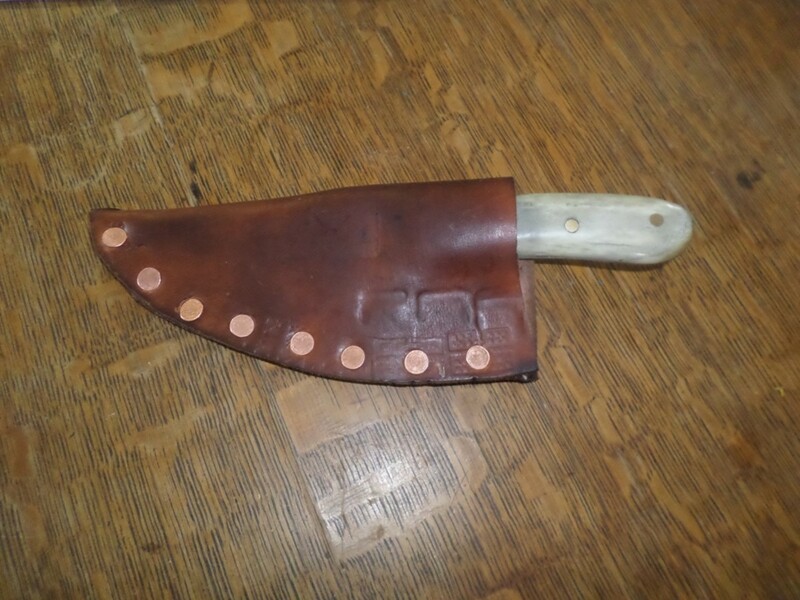 I had some thick leather to use for making the sheath form my knife. I cut the shape for a sheath using the knife as a guide, then soaked the leather in water for a few hours. I wrapped the blade in tape and plastic wrap, then wrapped the leather around it. I clamped it in shape, then allowed the leather to dry to make a form-fitting sheath. Typically the leather is sewn, but on this one, I decided to use copper rivets. Three knives that I've made from old table saw blades. It's fun to experiment with different shaped blades. I had fun making these knives and liked coming up with unusual blade shapes and handle looks. If you are thinking of making a serious knife without having to cut out the blade yourself, you can order a pre-made blade and an unshaped handle, or even a kit. 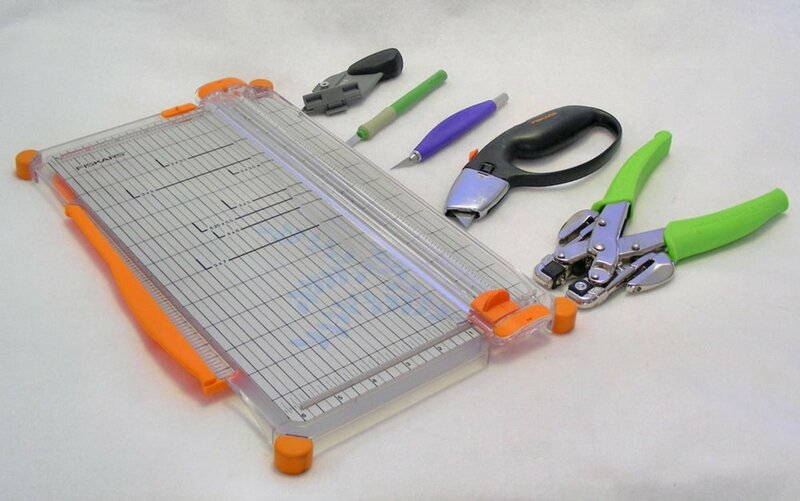 There are several resources online where you can purchase materials. If you are a little more adventurous, you can order some steel stock of known metallurgy, then shape and heat treat it yourself. 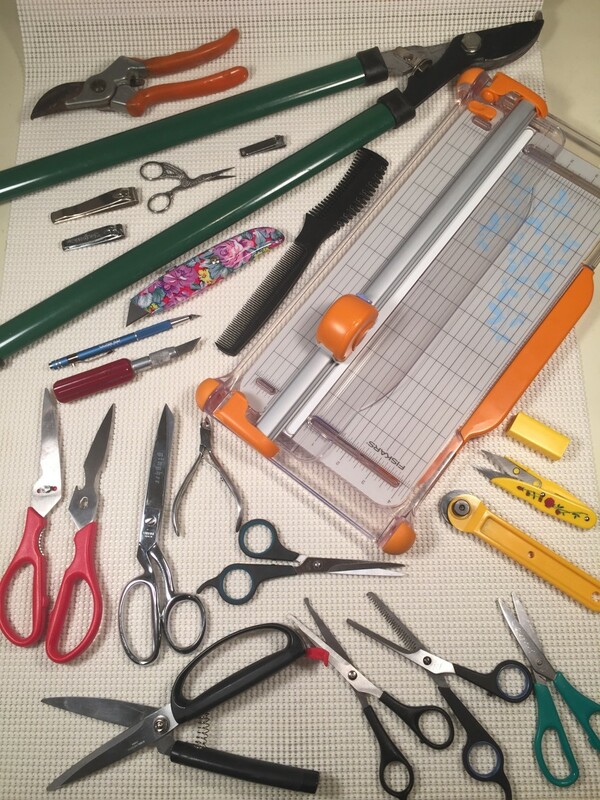 You can also use an old file that is non-alloy, high-carbon steel and good material for a knife blade. 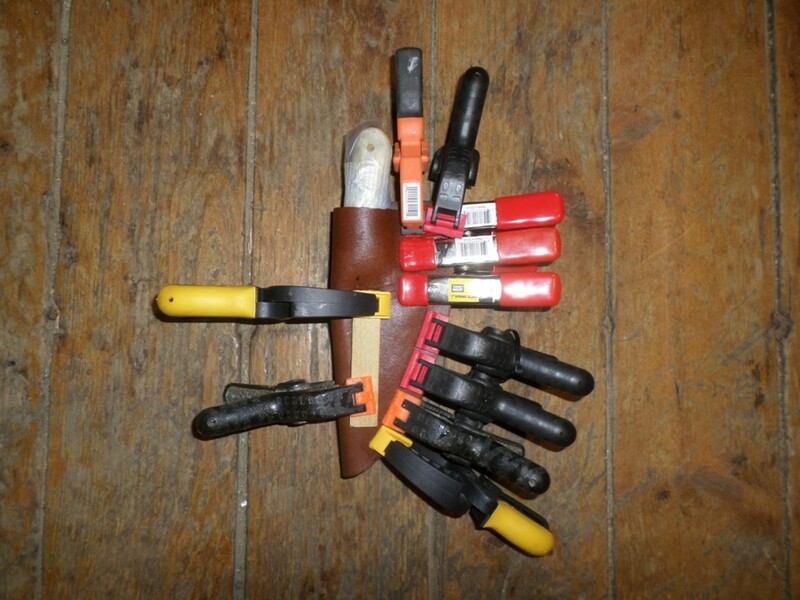 I will likely use these knives for hunting, skinning, field dressing and fishing, but not for anything too rugged.